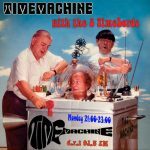 The legendary TimeMachine hosted by the 3 TimeLords. 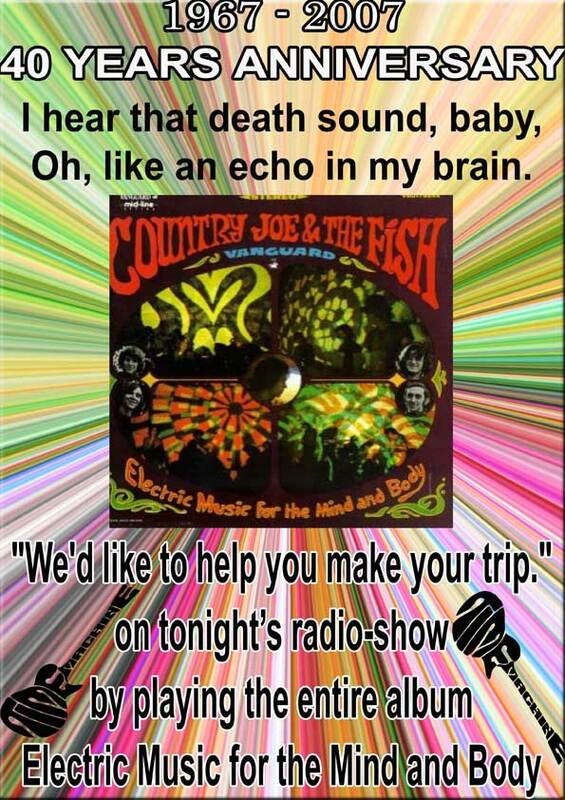 A 2-hour strictly 60’s show. Bands from all over the world, Psychedelia, Psych and Garage! All the Greek Bands from the 60’s till nowadays, from Psych and Garage to pure Rock n’ Roll. Mostly 70s (but a little 80s too) from all the “Underground Rock” genres. 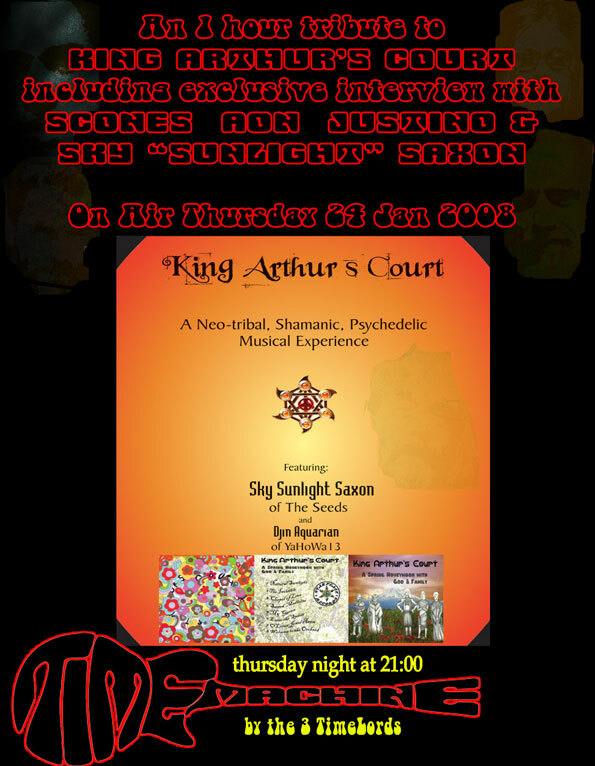 Psych – Acid – Prog – Hard – Kraut. We can’t hide our superior Love for Jazz (karamouzes) and Blues! Playing stuff from all decades (from 20’s to nowadays),’cos we do not want to forget our musical “roots”. 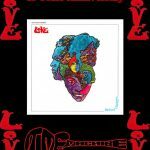 New Releases from all genres, especially Psychedelia and Psych related stuff. 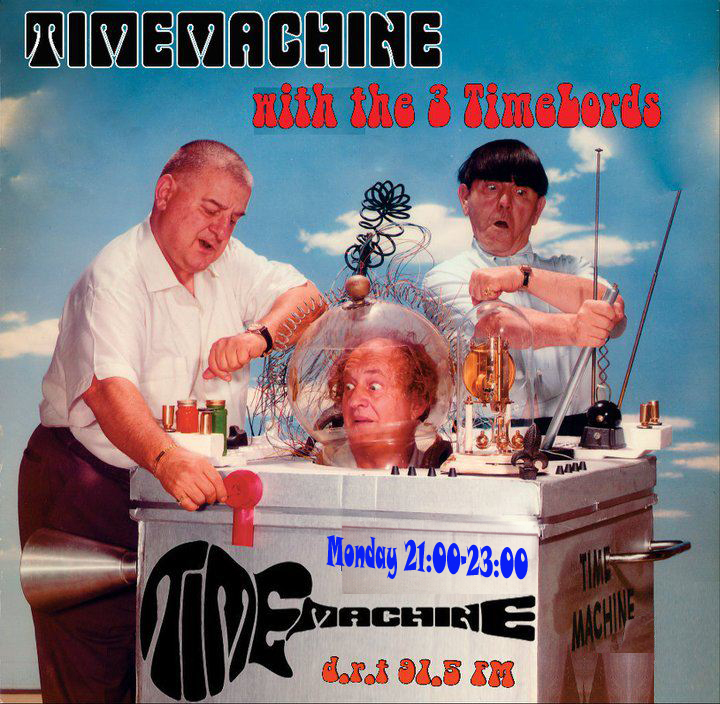 The 5th day (Friday) of the radio-show is dedicated to the Psych 60’s… TimeMachine is born, hosted by our three “alter-egos”, Mr Zep / Dr Floyd Heywarth / EdgarT with a “T”, simply known as the 3 TimeLords. 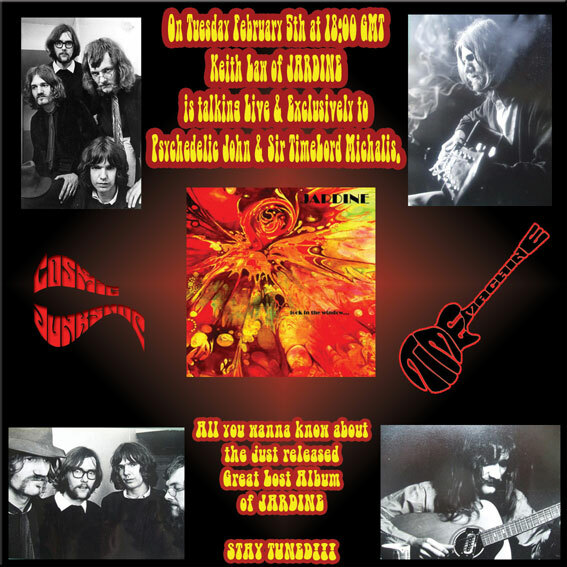 1-hour Tribute with an exclusive interview by the Greatest Psychedelic Greek Band, Purple Overdose. 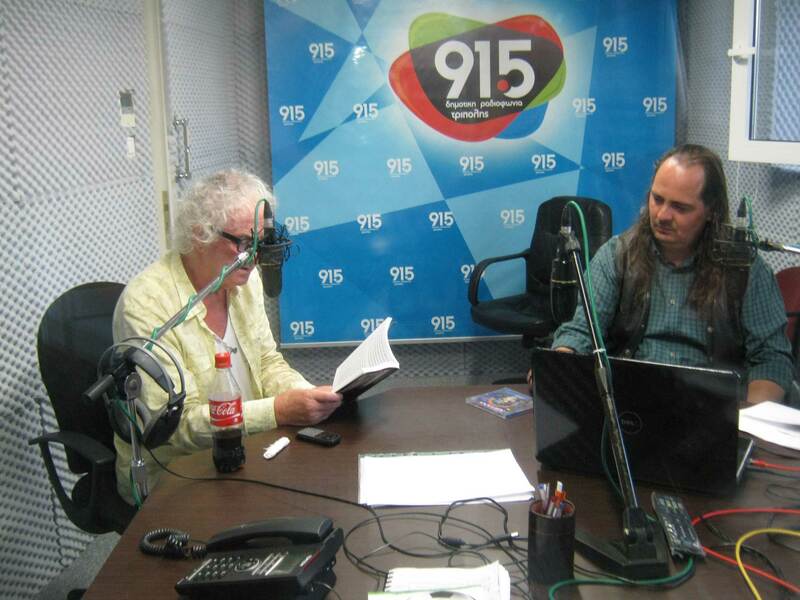 Interview with the Legendary Greek Psych Journalist Nick Kontogouris. Interview with the GREEK Space-Blues band, the Green Onions. First Wordwhile Transmission of 2 new songs “Pacific Ocean Blue” and “Transient Absolution” by the Electric Prunes. 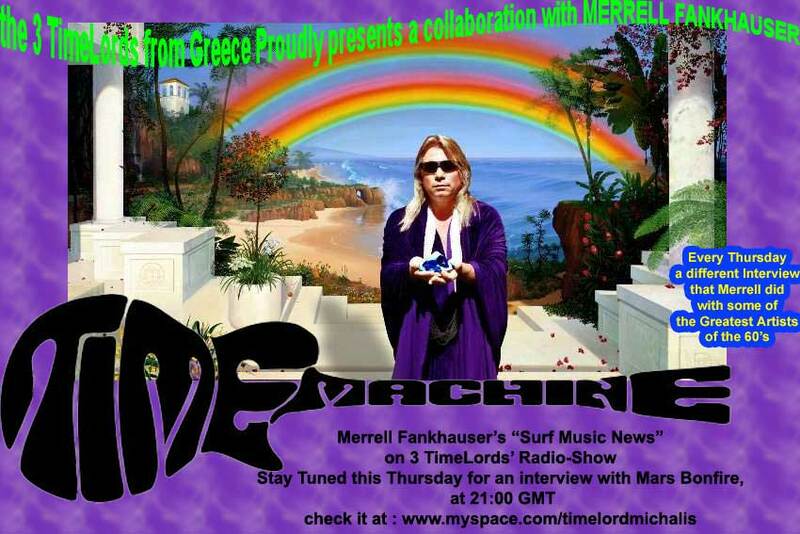 The 3 TimeLords came in “contact” with drummer Carmine Appice of Vanilla Fudge and we became the “link” for the one & only live performance in Greece. 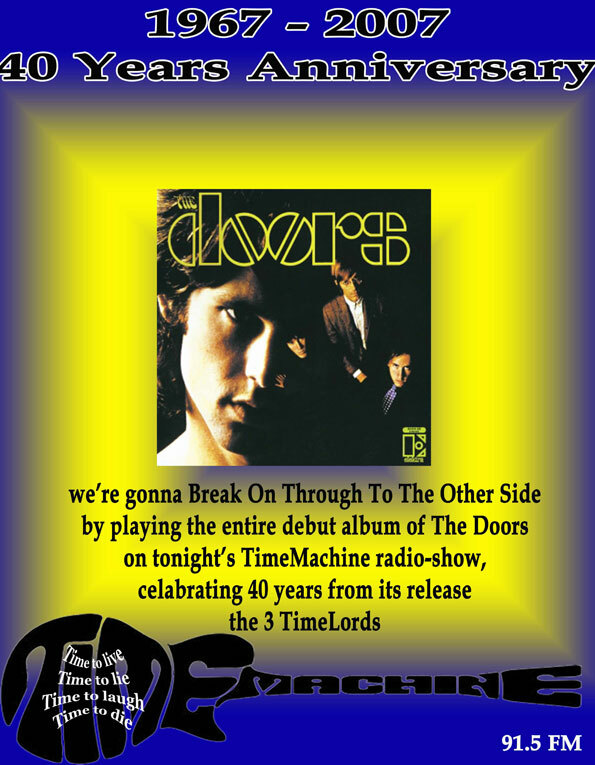 We were there, we interviewed Carmine Appice and Tim Bogert (bass player), and on 27 Oct 2003 , we played on air the 50 minutes int by Vanilla Fudge plus some live tracks from their show in Greece! 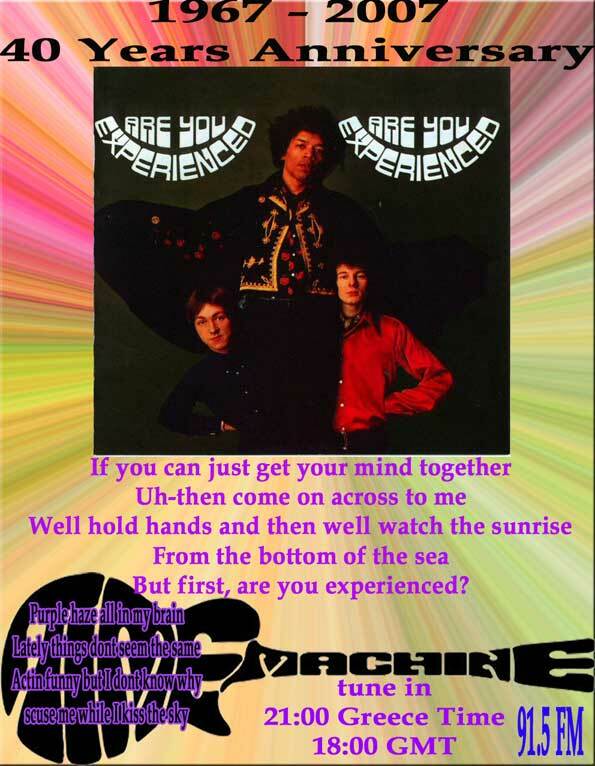 The restless 3 TimeLords, now make “contact” with Jim McCarty of the ALL-TIME classic band Yardbirds. 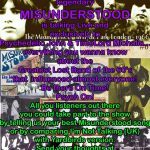 For the 2nd Time we became the link, and the only one show for the Legendary Yardbirds is a fact!!!!! Unfortunately, only 2 original members came in the Athens concert. The 2 members that are keeping the Yardbirds’ flame still alive. Drummer Jim McCarty & Bass player Chris Dreja! 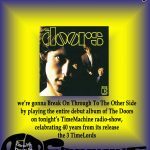 Highlight of the show, was when Jim dedicated “Happenings Ten Years Time Ago” to their most humble “servants”, the 3 Lords of Time!!!!!! Exclusive interview with Elias Zaikos of the Greek Blues legends Blues Wire. 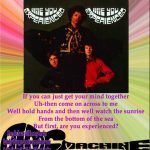 First Worldwhile transmission of the new album by the Electric Prunes, entitled “California”. 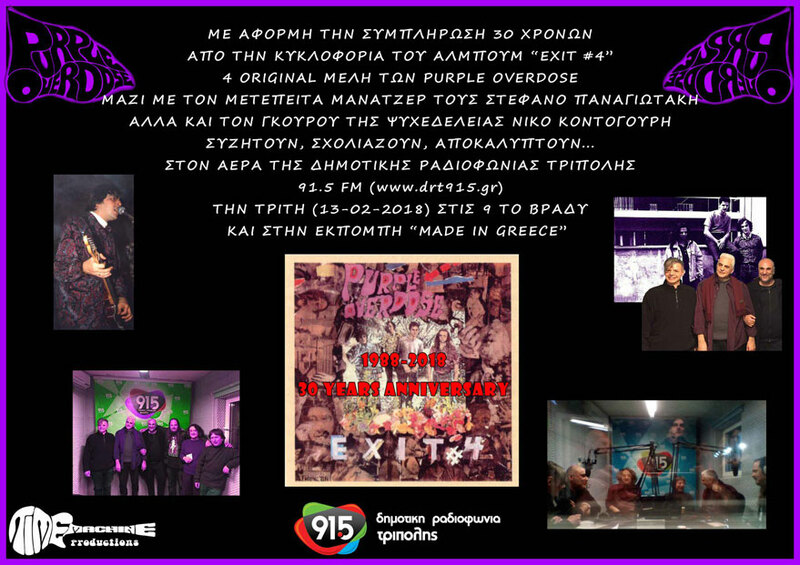 We played all the songs of the album one after the other and we managed to have a friendly live conversation “on air” with James Lowe (the Electric Prunes) from Santa Barbara, California and with Stefanos “on-line” Panagiotakis (official representative in Greece of the Electric Prunes plus manager of Purple Overdose), from Athens. 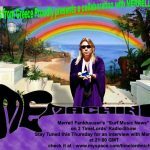 A 30 minute Live on air “phone” interview with the “Purple Wizard of Acid Jug”, Joe Beard of the Purple Gang. Granny indeed took a trip, that night! Interview with Chris Kyriazis from one of the hotest Greek Live Acts, The Frantic V.
Interview with John Alexopoulos from the No1 Garage Band of Greece, The Sound Explosion. Live Chat on studio at DRT 91.5 FM with Giannis Makris and George “Pappous” from ΦΥΓΟΚΕΝΤΡΟΣ, announcing their gig at Malliaropouleion Theater, organized by “TimeMachine” in 4 May 2005. 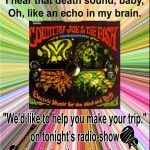 A long distance call and a live interview on air by the legendary Captain Ken Erwin himself, of the C.A.Quintet! Louisiana Red and Ilias Zaikos (of Blues Wire) Live on studio at DRT 91.5 FM. We organized their gig in 28 March 2007. 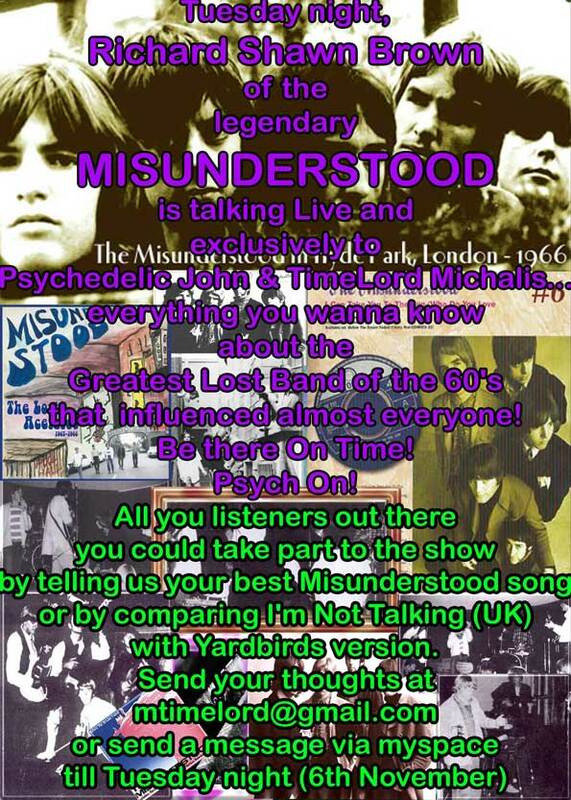 Telephone Chat with Damon The Gypsy, legendary figure of the Psychedelic 60s! Telephone Chat with Demian Bell of the legendary Barbarians and 70s band Maypole. Telephone mini interview with Vice of The Velvoids because of their forthcoming appearance at the 4th TRIPolis Rock Fest. 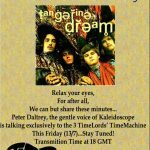 Telephone chat with Peter Daltrey of Kaleidoscope (UK) and presentation of the album “Tangerine Dream” (40 years anniversary). Telephone mini interview with Haris of The Ducky Boyz because of their forthcoming appearance at the 4th TRIPolis Rock Fest. Telephone mini interview with Stefanos of The Bullets and Anestis of J.Allen because of their forthcoming appearance at the 4th TRIPolis Rock Fest. 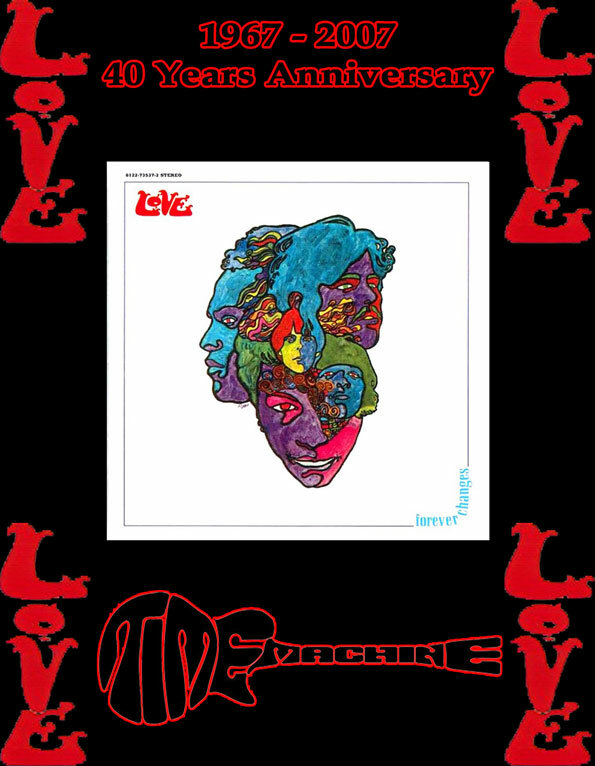 40 years anniversary of the album “Underground”. 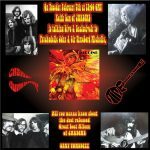 Presentation of the album + telephone chat with James Lowe of The Electric Prunes and with the official representative of the band in Greece/Europe, Stefanos Panagiotakis. 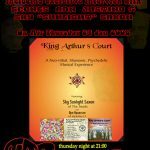 Telephone chat with Sky Sunlight Saxon and members of King Arthur’s Court, where Sky knighted TimeLord Michalis as Sir! 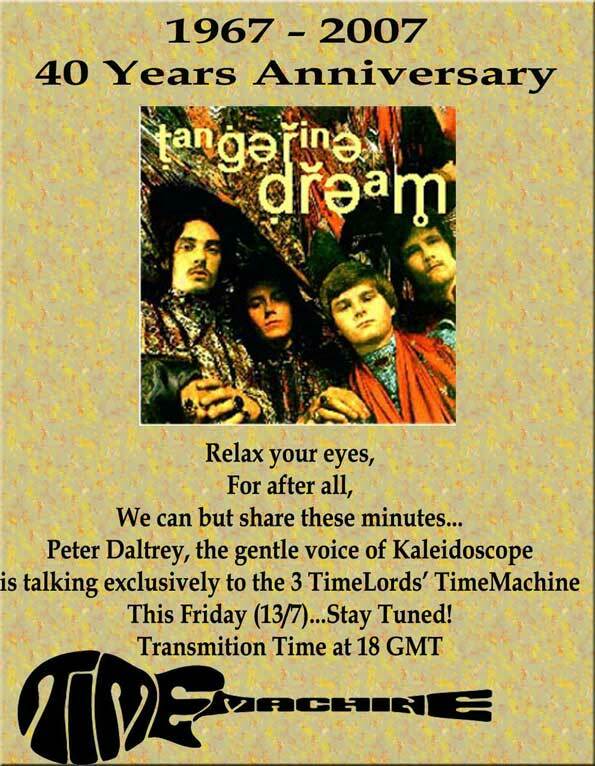 Mini telephone interview with Keith Law of Jardine and songwriter of Velvett Fogg with TimeLord Michalis and Dr Psychedelic John. Telephone chat with Nick Karathanasis, headmaster of Greel label Anazitisi Records. Telephone mini interview with Vassilis Athanassiadis of No Man’s Land and presentation of their new album in 19 years (!) “Home In The Sky”. 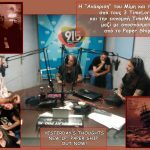 Live Chat on studio at DRT 91.5 FM with Άνθη Αντεκδίκησης and Sleepwalkers (local amateur rock bands) because of their forthcoming appearance at the 5th TRIPolis Rock Fest. Telephone mini interview with Giorgos Fotopoulos of Drug Free Youth because of their forthcoming appearance at the 5th TRIPolis Rock Fest. Telephone mini interview with Christos of The Snails because of their forthcoming appearance at the 5th TRIPolis Rock Fest. 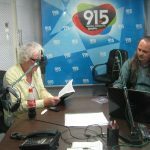 Vibravoid (Christian, Axl, Frank) Live chat/interview on studio at DRT 91.5 because of their forthcoming appearance at the 5th TRIPolis Rock Fest. 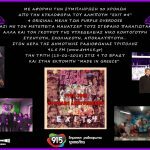 Atomic Workers (Angelo, Danielle, Lawrence, Michele, Fabio) Live chat/interview on studio at DRT 91.5 FM, one day after their appearance at the 5th TRIPolis Rock Fest. Telephone mini interview with Captain K of The Frantic V and Dimitris Rigo of The Meanie Geanies because of their forthcoming appearance at the 6th TRIPolis Rock Fest. Telephone mini interview with Johnny Vavouras of The Vavoura Band because of their forthcoming appearance at the 6th TRIPolis Rock Fest. Patrick Campbell-Lyons of the legendary Nirvana (UK) pays a visit to the 3 TimeLords’ hometown Tripolis, Arcadia at the center of Peloponnese. We had a wonderful chat (interview) at the studio of DRT 91.5 FM. We organized a live gig with Patrick Campbell-Lyons at “After Dark” in Athens. 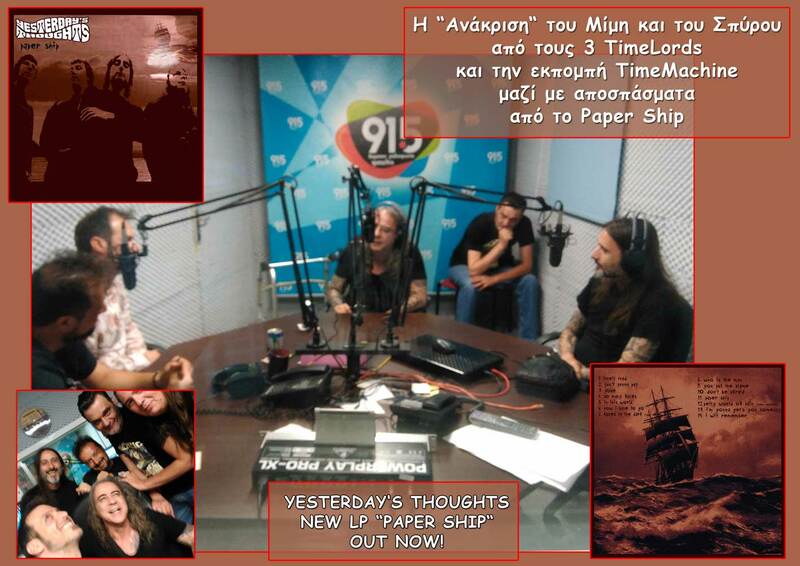 Mimis and Spiros Megedisidis of Yesterday’s Thoughts Live chat/interview on studio at DRT 91.5 FM because of their release LP “Paper Ship”.